We are happy to announce that 4 papers have been accepted at IROS 2018. We are happy to announce that 5 papers have been accepted at ECCV 2018. We are happy to announce that 3 papers have been accepted at 3DV 2018. We are happy to announce that 4 papers have been accepted at CVPR 2018. We got seven papers accepted for presentation at IPCAI 2018 in Berlin, Germany. The work on the open-source microscope NeuBtracker by Prof. Dr. Gil Westmeyer and his group was carried out with participation from CAMP. 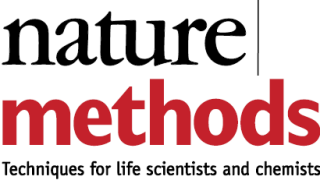 The results have now been published in Nature Methods, see also the TUM press release. We are happy to announce that three of our submissions to CVPR 2017 have been accepted. Two of our papers received a spotlight slot. A new book on Computing and Visualization for Intravascular Imaging and Computer-Assisted Stenting has been published by Academic Press. We are happy to announce that our paper got accepted at WACV 2017, Santa Rosa, California, USA on March 24 - 31. We are happy to announce that 4 of our papers were presented at 3DV 2016. The conference took place at Stanford University, California, USA on October 25 - 28. Our article CRF-Based Model for Instrument Detection and Pose Estimation in Retinal Microsurgery has been accepted by Computational and Mathematical Methods in Medicine Journal for the special issue on Machine Learning Applications in Medical Image Analysis. Our article on Multimodal US-Gamma Imaging using Collaborative Robotics for Cancer Staging Biopsies has just been accepted by IJCARS. Our work on Parsing Human Skeletons in an Operating Room has been accepted by Machine Vision and Applications. Our article on Neuron-Miner: An Advanced Tool for Morphological Search and Retrieval in Neuroscientific Image Databases has just been accepted by the Neuroinformatics Journal. Our article on Single-View X-Ray Depth Recovery: Towards a Novel Concept for Image-Guided Interventions has been accepted by the International Journal of Computer Assisted Radiology and Surgery. Our article on Supervised Domain Adaptation of Decision Forests: Transfer of models trained in vitro for in vivo intravascular ultrasound tissue characterization has been accepted by Medical Image Analysis. Our article on Vascular Image Registration Techniques: A Living Review has been accepted by Medical Image Analysis Journal. Our article on AggNet: Deep Learning from Crowds for Mitosis Detection in Breast Cancer Histology Images has been accepted by IEEE Transactions on Medical Imaging (TMI). We've got five papers accepted for presentation at IPCAI 2016 in Heidelberg, Germany. Our article on the 3D Pictorial Structures Revisited: Multiple Human Pose Estimation has been accepted by the IEEE Transactions on Pattern Analysis and Machine Intelligence (TPAMI). 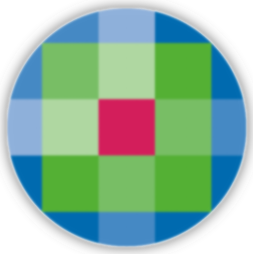 TPAMI is the one of the two major Computer Vision journals and has an impact factor of 5.694 according to Thomson Reuters' 2013 Journal Citation Report. We are happy to announce that three of our papers got accepted as poster presentations at ICCV 2015. The conference will be in Santiago, Chile. 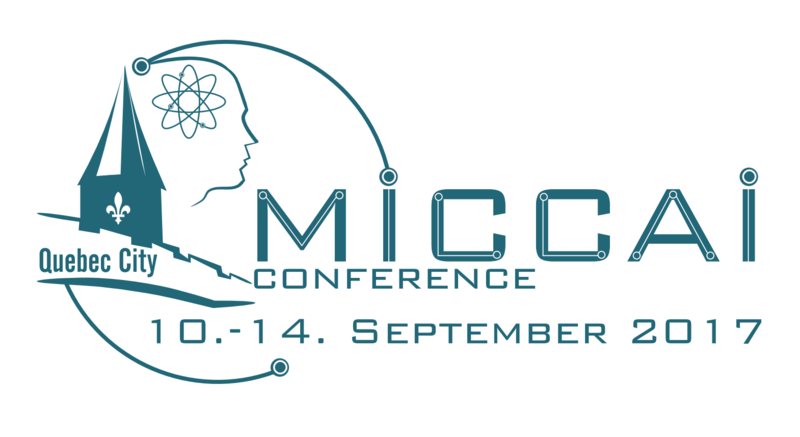 Ten papers of our chair will be presented at the 18th International Conference on Medical Image Computing and Computer Assisted Interventions (MICCAI 2015). All papers will be published in the Conference Proceedings in the format of Lecture Notes in Computer Science (LNCR), October 2015. At this year's International Symposium on Mixed and Augmented Reality (ISMAR) we got nine papers accepted. Three of them are accepted as oral presentations and six as extended poster presentations. 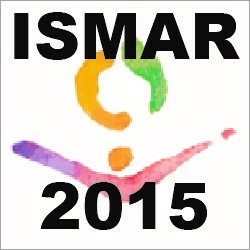 ISMAR is held in Fukuoka (Japan) this year. We proudly announce that four of our recent works in the field of computer vision have been accepted at the British Machine Vision Conference in Swansea, UK. 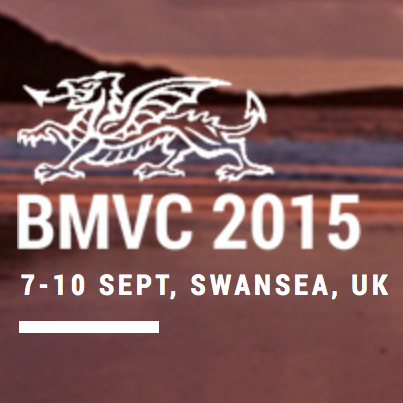 Out of the 553 total submissions to BMVC this year, only 185 papers have been selected to be presented during the conference that will take place from the 7th to the 10th of September of this year. We are happy to announce that three of our papers got accepted as poster presentations at CVPR 2015. The conference will be in Boston, USA. We've got two papers accepted for presentation at ICRA 2015 in Seattle, WA. 16 April 2015, Brooklyn, New York, USA. 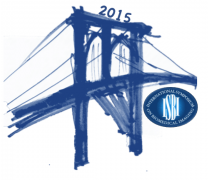 We are happy to announce that nine of our papers have been accepted for presentation at ISBI 2015. The conference takes place in Brooklyn, New York, USA. Two papers accepted at IEEE Virtual Reality (VR) Conference 2015. Our paper *Lumen Segmentation in Intravascular Optical Coherence Tomography using Backscattering Tracked and Initialized Random Walks * has been accepted by the IEEE Journal of Biomedical and Health Informatics(J-BHI). Our paper Vertebroplasty Performance on Simulator for 19 Surgeons Using Hierarchical Task Analysis has been accepted by the IEEE Transactions on Medical Imaging. Our paper 1D-3D Registration for Intra-operative Nuclear Imaging in Radio-guided Surgery has been accepted by the IEEE Transactions on Medical Imaging. Our paper Patient-Specific Biomechanical Model for the Prediction of Lung Motion from 4D CT Images has been accepted by the IEEE Transactions on Medical Imaging. Our paper Multi-modal intra-operative navigation during distal locking of intramedullary nails has been accepted by the IEEE Transactions on Medical Imaging. We are happy to announce that our paper Motor rehabilitation using Kinect: a systematic review got accepted at Games for Health Journal. Our paper Multi-Scale Tubular Structure Detection in Ultrasound Imaging has been accepted by the IEEE Transactions on Medical Imaging. We are happy to announce that our paper Predicate-based Focus-and-Context Visualization for 3D Ultrasound got accepted at IEEE SciVis 2014, the premier forum for advances in scientific visualization. This year, the conference will be held in Paris, France. 3 papers have been accepted at Medical Image Analysis journal (special issue MICCAI 2013), representing a selection of less than 1.5% of originally submitted papers to MICCAI 2013. Our paper A Fourier-Based Approach to the Angiographic Assessment of Flow Diverter Efficacy in the Treatment of Cerebral Aneurysms has been accepted by the IEEE Transactions on Medical Imaging. 15 papers of our chair will be presented at the 17th International Conference on Medical Image Computing and Computer Assisted Interventions (MICCAI 2014) in Boston (US), September 14-18, 2014. 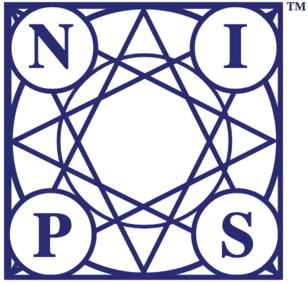 Five papers will be presented at the 5th International Conference on Information Processing in Computer-Assisted Interventions (IPCAI 2014). IPCAI 2014 will be held on June 28 in Fukuoka, Japan (co-located with CARS). We are happy to announce that three of our students' papers got accepted at CVPR 2014. The conference will be in Columbus, Ohio, USA. We are happy to announce that two of our papers have been accepted for oral presentation at ISBI 2014. The conference will take place in Beijing China. We are happy to announce that three of our students' papers have been accepted for presentation at SPIE Medical Imaging 2014. The conference takes place in San Diego (California), California, USA. Our article on the Joint Learning of Ultrasonic Backscattering Statistical Physics and Signal Confidence Primal for Characterizing Atherosclerotic Plaques using Intravascular Ultrasound has been accepted by journal of Medical Image Analysis. Our article on the Stereo Time-of-Flight has been accepted by the IEEE Transactions on Pattern Analysis and Machine Intelligence (TPAMI). TPAMI is the one of the two major Computer Vision journals and has currently an impact factor of 5.96 (#1 in electrical engineering and artificial intelligence, within the Top 10 in computer science, overall top-ranked IEEE and Computer Society journal). Results of our collaborative work together with colleagues from Sabanci University (Turkey) have been accepted for publication in Medical Physics. Two papers of our chair will be presented at the 13th Mediterranean Conference on Medical and Biological Engineering and Computing (MEDICON 2013). MEDICON 2013 will be held on September 25th to 28th in Sevilla, Spain. Our article together with colleagues from medical faculty of TUM with title Freehand SPECT for image-guided sentinel lymph node biopsy in breast cancer has been accepted by the European Journal of Nuclear Medicine and Molecular Imaging (EJNMMI). Eight papers of our chair will be presented at the 16th International Conference on Medical Image Computing and Computer Assisted Interventions (MICCAI 2013). MICCAI 2013 will be held on September 22nd in Nagoya, Japan. Three papers will be presented at the 4th International Conference on Information Processing in Computer-Assisted Interventions (IPCAI 2013). IPCAI 2013 will be held on June 26 in Heidelberg, Germany (co-located with CARS). Our paper Structure Propagation for Image Registration has been accepted by the IEEE Transactions on Medical Imaging. Our paper Trajectory optimization for intra-operative nuclear tomographic imaging has been accepted by Medical Image Analysis journal (special issue MICCAI 2012). Our paper Electromagnetic servoing - a new tracking paradigm has been accepted by the IEEE Transactions on Medical Imaging. Our research paper Disocclusion-based 2D-3D registration for aortic interventions has been accepted for publication in Computers in Biology and Medicine journal. Our review paper A Review of Computer-Based Simulators for Ultrasound Training has been accepted for publication in the Simulation in Healthcare journal. For further information on the journal and the final publication of the paper, please refer to its official homepage. Our paper on the Interventional Tool Tracking using Discrete Optimization has been accepted by the Transactions on Medical Imaging (TMI). TMI is the one of the major Medical Imaging and Image Analysis journals and has an impact factor of 3.545 (#3 in 'Computer Science, Interdisciplinary Applications', #5 in 'Engineering, Biomedical', overall top-ranked IEEE and Computer Society journal). We got 2 papers (one oral) accepted at ACCV 2012 (Asian Conference on Computer Vision). ACCV 2012 will be held in Daejeon, Korea in November (http://www.accv2012.org/main/). At this year’s IEEE and ACM International Symposium on Mixed and Augmented Reality (ISMAR) we got three papers accepted. One of them is accepted as an oral and two as posters. ISMAR is held in Atlanta this year. Our article on the Simultaneous Registration of Multiple Images has been accepted by the IEEE Transactions on Pattern Analysis and Machine Intelligence (TPAMI). TPAMI is the one of the two major Computer Vision journals and has currently an impact factor of 5.96 (#1 in electrical engineering and artificial intelligence, within the Top 10 in computer science, overall top-ranked IEEE and Computer Society journal). We got 4 papers accepted at ECCV 2012 (European Conference on Computer Vision). ECCV 2012 will be held in Firenze, Italy; in October (http://eccv2012.unifi.it/). We got one paper and one tutorial accepted at IROS 2012 (IEEE/RSJ International Conference on Intelligent Robots and Systems). IROS 2012 will be held in Vila Moura, Algarve, Portugal in October (http://www.iros2012.org/site/). We got 10 papers accepted at MICCAI 2012 (Medical Image Computing and Computer Assisted Interventions). MICCAI has received this year 779 submissions and only around 250 papers have been accepted. MICCAI 2012 will be held in Nice, France; in October (http://www.miccai2012.org/). The paper 3D handheld SPECT combined with serially acquired MRI reference images - feasibility study for intraoperative applications has been accepted at the 9th Interventional MRI Symposium. Our paper Ultrasound Confidence Maps using Random Walks has been accepted for publication by Elsevier journal of Medical Image Analysis (MedIA). MedIA is the official journal of the MICCAI Society, and has an impact factor of 4.424 (5-year impact factor: 4.512). Our paper 3D Sonographic Examination of the Midbrain for Computer-Aided Diagnosis of Movement Disorders has been accepted for publication by Elsevier journal of Ultrasound in Medicine & Biology (UMB). UMB is the official journal of the World Federation for Ultrasound in Medicine and Biology, and has an impact factor of 2.293 (5-year impact factor: 2.493). The IEEE Computer journal published a cover feature on augmented reality. We wrote one of the articles, on first deployments of augmented reality in operating rooms. We also have been involved to create the AR-enabled cover of the journal. We have one paper accepted at the 3rd International Conference on Information Processing in Computer-Assisted Interventions (IPCAI 2012). IPCAI 2012 will be held on June 27 in Pisa, Italy (co-located with CARS). We are happy to announce that we have a paper at IEEE CVPR 2012! We are proud to announce that our paper Translation, Scale, and Deformation Weighted Polar Active Contours has been accepted at the Journal of Mathematical Imaging and Vision (published by Springer) has been accepted for publication. 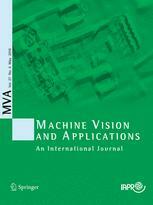 The Journal of Mathematical Imaging and Vision is one of the leading journals in the area of applied mathematics related to computer vision and image processing, which is proven by its promiment editorial board - i.e. J. Weickert (Editor-in-Chief) as well as M.A. Viergever, J.A. Sethian, and J.-M. Morel (Co-Editors-in-Chief) - and last but not least its impact factor (1.285 in 2010). Our paper Closed-form inverse kinematics for interventional C-arm X-ray imaging with six degrees of freedom: modeling and application has been accepted by the IEEE Transactions on Medical Imaging. IEEE Transactions on Medical Imaging is the number one cited journal in Imaging Science & Photographic Technology, the number three cited journal in Biomedical Engineering and has currently an impact factor of 3.54 (5-year impact factor: 4.34). One paper accepted at IEEE Virtual Reality (VR) Conference 2012. The publication mirracle: An Augmented Reality Magic Mirror System for Anatomy Education has been accepted as poster and research demo at the IEEE Virtual Reality (VR) conference. IEEE VR is the premier international conference and exhibition on virtual reality. In this publication mirracle, our augmented reality magic mirror system, is presented. ACM Conference on Intelligent User Interfaces is based on full paper submissions and double blind review process in which each paper receives at least 5 peer reviews. This year IUI 2012 received 212 paper submissions. Only 17 long and 17 short papers got accepted (16% acceptance rate). Furthermore, among 146 submissions for demonstration papers, only 8 papers got accepted (18% acceptance rate). One paper accepted at 21th International Conference of Usability Professionals Association (UPA) 2012. UPA conference is based on full paper submissions and double blind review process in which each paper receives at least 4 peer reviews. This year UPA 2012 received 346 paper submissions. Only 65 papers got accepted (18% acceptance rate). One paper accepted at IEEE Symposium on 3D User Interfaces (3DUI) 2012. IEEE 3DUI Conference is based on full paper submissions and double blind review process in which each paper receives at least 3 peer reviews. We have a long paper accepted at 3DUI 2012! Our paper Locally adaptive Nakagami-based ultrasound similarity measures has been accepted and published by Elsevier journal of Ultrasonics. Our paper Human Skeleton Tracking from Depth Data Using Geodesic Distances and Optical Flow has been accepted by the Elsevier Journal Image and Vision Computing, Special Issue on Best of Face and Gesture Recognition 2011. Image and Vision Computing currently has an impact factor of 1.525 (5-year impact factor: 1.840). Our paper Manifold Learning for Image-Based Breathing Gating in Ultrasound and MRI has been accepted and published by Elsevier journal of Medical Image Analysis (MedIA). Our paper Endoscopic Video Manifolds for Targeted Optical Biopsy has been accepted by the IEEE Transactions on Medical Imaging. IEEE Transactions on Medical Imaging is the number one cited journal in Imaging Science & Photographic Technology, the number three cited journal in Biomedical Engineering and has currently an impact factor of 3.54 (5-year impact factor: 4.34). We are glad to announce, that we got 4 papers accepted at the 10th IEEE and ACM International Symposium on Mixed and Augmented Reality. Our paper Gradient Response Maps for Real-Time Detection of Texture-Less Objects has been accepted by the IEEE Transactions on Pattern Recognition and Machine Intelligence (TPAMI). 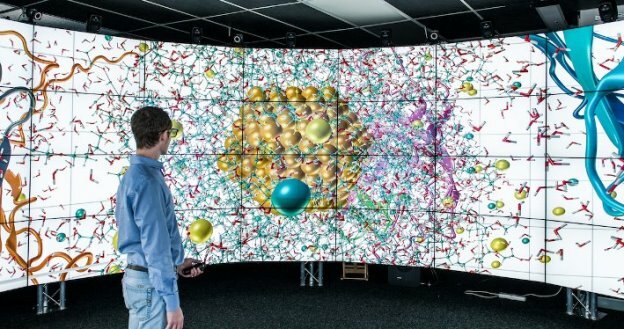 TPAMI is the one of the two big Computer Vision journals and has currently an impact factor of 5.96 (#1 in electrical engineering and artificial intelligence, within the Top 10 in computer science, overall top-ranked IEEE and Computer Society journal). Our paper Recognizing Multiple Human Activities and Tracking Full-Body Pose in Unconstrained Environments has been accepted by the Elsevier Journal Pattern Recognition. Pattern Recognition is the official journal of the Pattern Recognition Society and has currently an impact factor of 2.607 (5-year impact factor: 3.402). We got 3 papers accepted at ICCV 2011 (13th International Conference on Computer Vision), 1 as oral presentation and 2 as poster. ICCV has received over 1700 submissions and only around 295 papers have been accepted as Poster and around 45 have been accepted as oral presentation. ICCV 2011 will be held in Barcelona, Spain, in November (http://www.iccv2011.org/). We got 12 papers accepted at MICCAI 2011 (Medical Image Computing and Computer Assisted Interventions). MICCAI has received over 800 submissions and only around 250 papers have been accepted. MICCAI 2011 will be held in Toronto, Canada, in September (http://www.miccai2011.org/). 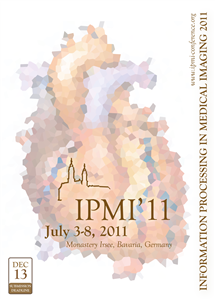 We got two papers accepted at the 22nd biennial International Conference on Information Processing in Medical Imaging (IPMI 2011). 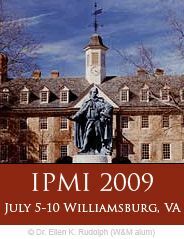 IPMI is widely recognized as one of the preeminent international forums for presentation of leading-edge research in the medical imaging field. We are happy to announce that we have one accepted paper at IEEE Conference on Computer Vision and Pattern Recognition (CVPR) 2011! We are happy to announce that eight of our students' papers are accepted for presentation at SPIE Medical Imaging 2011. The conference takes place in Lake Buena Vista (Orlando), Florida, USA. We have 3 papers accepted at IEEE International Symposium on Biomedical Imaging (ISBI) 2011! ISBI is widely recognized as the preeminent international forum for the presentation of leading-edge research in the biomedical imaging field. The symposium supports a tradition of cross-fertilization between different imaging communities an integrative approach across all observation scales. The symposium will be held in Chicago, USA in March. We have a paper accepted at the IEEE Conference on Automatic Face and Gesture Recognition (FG'11). The meeting will be held in Santa Barbara, end of March 2011. We have two papers accepted to the IEEE Winter Vision Meetings. The workshop will be held in Kona (Hawaii, USA) next January. Our papers Statistical Modeling and Recognition of Surgical Workflow and Development and Comparison of New Hybrid Motion Tracking for Bronchoscopic Navigation have been accepted by the Elsevier journal of Medical Image Analysis (MedIA), Special issue on CAI. MedIA is the official journal of the MICCAI Society, and has currently an impact factor of 3.093 (5-year impact factor: 3.952). We are glad to announce, that we got 5 papers accepted at the 9th IEEE and ACM International Symposium on Mixed and Augmented Reality. Two of them are accepted for oral presentations and three as posters. We got 3 papers accepted at the Asian Conference on Computer Vision, which is held in Queenstown, New Zealand from November 8th. Our paper Learning Real-Time Perspective Patch Rectification has been accepted by the International Journal of Computer Vision, Springer (IJCV). We have one paper accepted at the MICCAI Workshop on Spatio-Temporal Image Analysis for Longitudinal and Time-Series Image Data 2010 (STIA'10) that will take place in Beijing, China, on September 19-20 2010. We have 6 papers accepted at the 5th International Workshop on Medical Imaging and Augmented Reality (MIAR) 2010. Each paper was carefully reviewed by up to 5 referees, independent reviewers selected from the Scientific Review Committee. 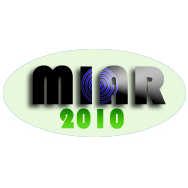 MIAR accepted 60/139 papers (43%) and will take place in Beijing, China, on September 19-20 2010. We are proud to announce that we got four papers accepted at the British Machine Vision Conference (BMVC), which is one of the leading conferences on computer vision. This year, 116 out of 345 submitted papers were accepted (33% acceptance rate). We are proud to announce that we got three papers accepted at the European Conference on Computer Vision (ECCV), which is one of the leading conferences on computer vision world-wide. We got a paper accepted for oral presentation at MMBIA 2010: IEEE Computer Society Workshop on Mathematical Methods in Biomedical Image Analysis. Our paper Joint Reconstruction of Image and Motion in Gated Positron Emission Tomography by Moritz Blume has been accepted by IEEE TRANSACTIONS ON MEDICAL IMAGING. We are proud to announce that we got one paper accepted at Ultrasound in Medicine and Biology(UMB) is published by Elsevier. UMB is the official journal of the World Federation for Ultrasound in Medicine and Biology. Our paper Patient-Specific Modeling and Quantification of the Aortic and Mitral Valves from 4D Cardiac CT and TEE by Razvan Ioan Ionasec has been accepted by IEEE TRANSACTIONS ON MEDICAL IMAGING. We are proud to announce that we got one paper accepted at the MICCAI 2009 special issue of the Journal Medical Image Analysis. CAMP students got 10 papers accepted at the Medical Image Computing and Computer Assisted Interventions (MICCAI). MICCAI 2010 received 788 anonymous full paper submissions and only 251 papers got accepted based on double anonymous reviewing process. Our paper Linear Intensity-based Image Registration by Markov Random Fields and Discrete Optimization has been accepted and published by Elsevier journal of Medical Image Analysis (MedIA). MedIA is the official journal of the MICCAI Society, and has an impact factor of 3.602 (5-year impact factor: 4.498). We have one paper accepted for presentation at the VI International Conference on Articulated Motion and Deformable Objects (AMDO). The conference will take place in Port d'Andratx, Mallorca, Spain, on July 07-09 2010. We have 2 papers accepted for oral presentation at the International Workshop on Biomedical Image Registration (WBIR) 2010. WBIR aims to bring together leading researchers in the area of biomedical image registration to present and discuss recent developments in the field, and has a long standing tradition in the registration community. The workshop will take place, in Lübeck, Germany, on July 11-13 2010. We have one paper accepted as an oral presentation at the 1st International Conference on Information Processing in Computer-Assisted Interventions (IPCAI 2010)! IPCAI 2010 will be held on June 23 in Geneva, Switzerland (co-located with CARS). 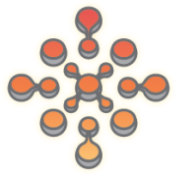 Based on a highly selective double anonymous review process, IPCAI is aiming at organizing an event in which the best conference articles in computer assisted interventions are reviewed, selected, presented, and actively discussed. We have 6 paper accepted at IEEE Conference on Computer Vision and Pattern Recognition (CVPR) 2010! CVPR is based on full paper submissions and a one step triple blind review process in which each paper receives at least 3 reviews. The conference will be held in San Francisco, CA, USA. We have 3 papers accepted at IEEE International Symposium on Biomedical Imaging (ISBI) 2010! ISBI is widely recognized as the preeminent international forum for the presentation of leading-edge research in the biomedical imaging field. The symposium supports a tradition of cross-fertilization between different imaging communities an integrative approach across all observation scales. The symposium will be held in Rotterdam, Netherlands in April. We have two papers accepted to the IEEE winter vision meeting. The meeting will be held in Snowbird (Utah) this December. We are happy to announce the acceptance of six of our students' papers and two of our ex-student and current 'ambassador' in Japan for presentation at SPIE Medical Imaging 2010. The conference takes place in San Diego, California, USA. We got one paper accepted for oral presentation at Computers in Cardiology 2009 conference. We got two papers accepted at the 5th International Symposium on Visual Computing (ISVC 2009). We are proud to announce that we will be publishing a paper in the IEEE journal of Computer Graphics and Applications in the issue November/December 2009 which focuses on 3D User Inteface. 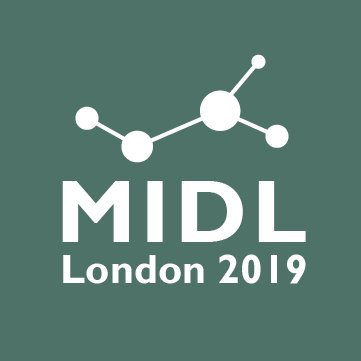 We are proud to announce that we have 4 papers (one oral) accepted to this year British Machine Vision Conference which will be held in London (UK) between the 7th and 10th of September. CAMP students got 3 papers accepted at the 10th International Meeting on Fully Three-Dimensional Image Reconstruction in Radiology and Nuclear Medicine (Fully 3D). In our newly accepted IEEE TMI paper, we introduce the Virtual Mirror as a new interaction paradigm for Augmented Reality and present exemplary applications in endoscopic as well as HMD based medical augmented reality. The IEEE TMI journal has an impact factor of 3.275 (as of 2007). 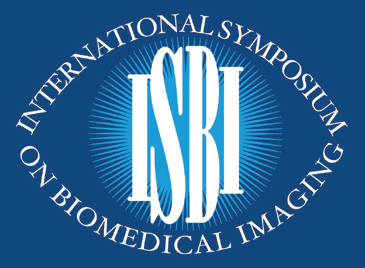 We have 4 papers accepted at IEEE International Symposium on Biomedical Imaging (ISBI) 2009! ISBI is widely recognized as the preeminent international forum for the presentation of leading-edge research in the biomedical imaging field. The symposium supports a tradition of cross-fertilization between different imaging communities an integrative approach across all observation scales. The symposium will be held in Boston, Massachusetts. We got one paper accepted at the 21st biennial International Conference on Information Processing in Medical Imaging (IPMI 2009). IPMI is widely recognized as one of the preeminent international forums for presentation of leading-edge research in the medical imaging field. We have 5 papers accepted at IEEE Conference on Computer Vision and Pattern Recognition (CVPR) 2009! One of them is an oral presentation. CVPR is based on full paper submissions and a one step triple blind review process in which each paper receives at least 3 reviews. CVPR 2009 received 1464 paper submissions. Only 383 got accepted (26,2% acceptance rate). The conference will be held in Miami, Florida, USA. A literature review of medical augmented reality and research about the hybrid navigation interface were published in a special issue on medical displays. We got one Paper accepted at the Journal of Academic Radiology. It appears in a special issue of the last year's MICCAI conference in November 2008. A paper on deformable 2D-3D registration from a single viewpoint has been accepted to IEEE TMI. The journal has an impact factor of 3.275 (as of 2007). We are happy to announce the acceptance of seven of our students' papers and three of our ex-student and current 'ambassador' in Japan for presentation at SPIE Medical Imaging 2009. The conference venue is the Disney Coronado Springs Resort, Lake Buena Vista, Florida. We got a full paper accepted for publication in IEEE Transactions on Medical Imaging. The journal has an impact factor of 3.275 (as of 2007). We got one paper accepted at the SPIE Electronic Imaging, San Jose, California, USA, 18 - 22 January. We are glad to announce that we have 3 papers accepted to this year International Symposium on Visual Computing which will be held in Las Vegas, Nevada, USA between the 1st to the 3 of December. We got 5 papers accepted at the 7th IEEE and ACM International Symposium on Mixed and Augmented Reality. We got a full paper accepted for publication in publication in International Journal of Computer Assisted Radiology and Surgery , which will appear in August 2008. We are glad to announce that we have 3 papers accepted to this year British Machine Vision Conference which will be held in Leeds (UK) between the 1st to the 4 of September. We got a paper accepted for oral presentation at the Visual Computer Vision on GPUs (CVGPU) workshop held in conjunction with CVPR. We got a full paper accepted for publication in a special issue of the IEEE/OSA Journal of Display Technology on Medical Displays, which will appear in September 2008. We got a paper accepted for publication at MMBIA 2008: IEEE Computer Society Workshop on Mathematical Methods in Biomedical Image Analysis. We got a full paper accepted for publication in Computer Aided Surgery, MICCAI Special Issue, which will appear in August 2008. We got a full paper published at IEEE Transactions on Medical Imaging, March 2008. The journal has an impact factor of 3.939 (as of 2005). We got a full paper accepted at Elsevier's Journal of Medical Image Analysis. The journal has an impact factor of 3.256 (ISI 2006) and is ranked 4th in the list of top journals in Computer Science, Artificial Intelligence. We have 5 papers accepted at IEEE Computer Science Conference on Computer Vision and Pattern Recognition (CVPR) 2008! CVPR is based on full paper submissions and a one step double blind review process in which each paper receives at least 3 reviews. CVPR 2008 received 1593 papers submissions. Only 508 got accepted (about 31% acceptance rate). The conference will be held in Anchorage, Alaska, USA. We got one paper accepted for oral presentation at the Twentieth Conference on Innovative Applications of Artificial Intelligence (IAAI-08). It is held in conjunction with the Twenty-Third AAAI Conference on Artificial Intelligence, Chicago, Illinois, USA. We got four papers accepted for oral or poster presentations at this years Congress on Computer Assisted Radiology and Surgery, CARS 2008. The conference will be held in Barcelona, Spain. We got 8 papers accepted at SPIE Medical Imaging. The conference will be held in San Diego, California, USA. We are proud to announce that we have three accepted papers at VISAPP 2008. Two of them are long oral presentations, the third one a poster. The conference will be held in Funchal, Madeira, Portugal. This year, we got 7 papers accepted at ISMAR 2007, 4 more than last year. Two are accepted as long (acceptance rate 20%) and five are accepted as short (acceptance rate 30%). 'Action- and Workflow-Driven Augmented Reality for Computer-Aided Medical Procedures' IEEE Computer Graphics and Applications, vol. 27, no. 5, Sept./Oct. 2007, presents our main objectives and some of our recent results in Medical Augmented Reality. We have one paper accepted at ICCV 2007! ICCV is based on full paper submissions and a two step double blind review process in which each paper receives at least 3 reviews. ICCV 2007 received 1190 papers submissions. Only 281 got accepted (23% acceptance rate). We got one Paper accepted at the Journal of Academic Radiology. It appears in a special issue of the last year's MICCAI conference in October 2007. We have 14 papers accepted at MICCAI 2007! MICCAI is based on full paper submissions and double blind review process in which each paper receives at least 6 peer reviews. MICCAI 2007 received 637 papers submissions. Only 237 got accepted (35% acceptance rate). We have 7 accepted abstracts for this year's SNM 54th Annual Meeting. Five of them are for oral presentation, two are poster demos. With 14% acceptance rate for oral presentations, the 20th International Conference on Information Processing in Medical Imaging gathers the best researchers in the field. We got a long paper accepted at IEEE Transactions on Medical Imaging. We got a long paper accepted at The Journal of Nuclear Medicine. 15 January 2007, Barcelona, Spain. We got one long paper accepted for oral presentation at VISAPP 2007, the 2nd International Conference on Computer Vision Theory and Applications. We got a long paper accepted for oral presentation at IEEE Virtual Reality 2007. We just got three papers accepted for oral presentations at SPIE Medical Imaging 2007. We are proud to announce that 2 full presentations from our chair have been accepted to the AMI-ARCS 2006 Workshop. We are proud to announce that 3 submissions to ISMAR 2006 have been accepted as long papers for publication. We are proud to announce that 10 submissions to MICCAI 2006 have been accepted for publication.